John is an active litigation attorney with a broad range of experience. 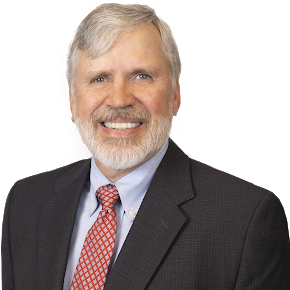 Over the past 30 years, he has tried numerous cases and has represented a vast array of clients in a variety of complex litigation including a mass casualty natural gas explosion case. His representative clients include national automotive, heavy equipment and product manufacturers. John defends toxic tort claims arising from asbestos, mold, toxic chemicals and other sensory allergies. Dimitrios Koutsoukos, Administrator (Estate Of Melissa A. Koutsoukos) v. Toyota Motor Sales, U.S.A., Inc., et al. Dimitrios Koutsoukos, Administrator (Estate Of Melissa A. Koutsoukos) v. Toyota Motor Sales, U.S.A., Inc., et al., 137 Conn. App. 655, 49 A.3d 302 (2012): Automotive product liability/crashworthiness case in which the CT Appellate Court upheld summary judgment for the defendant, Toyota. Mr. Bogdanski successfully argued that 1) the estate was required to present expert testimony to create genuine issue of material fact with respect to whether driver’s side front airbag’s failure to open constituted a product defect, and (2) that the estate’s summary judgment evidence was insufficient to create an issue of material fact as to presence of defect. Chester Tomaszewski, et al. v. Nacco Materials Handling Group, Inc., et al. Chester Tomaszewski, et al. v. Nacco Materials Handling Group, Inc., et al. : Product Liability case involving injury to left hand while working on forklift. Plaintiff claimed to suffer from PTSD as a result. Design defect case tried to a defense verdict in the United States District Court (CT). Ilya Shustarovich, et al. v. Black & Decker (U.S.) Inc., et al. Ilya Shustarovich, et al. v. Black & Decker (U.S.) Inc., et al. : Product liability case involving a circular saw. The plaintiff sustained a serious leg injury. Tried to Defendant’s verdict in the CT Superior Court in Stamford.